Substance abuse has become an epidemic in the United States, to the point where over 24.5 million people struggle with some form of addiction. While addicts suffer from an illness, the people in their lives including family and children suffer as well. Studies show that nearly 25% of American children are exposed to substance abuse through a family figure – which then goes on to affect their development, personality, and ability to function without abusing substances themselves. As the spouse of an addict, coping with an addiction, their behavior, and how they change as a person can be incredibly difficult, hard on your physical and mental health, and emotionally exhausting at every level. In many cases, spouses eventually conclude that divorce is the only solution – but often put it off for reasons including children, their spouse’s possible recovery, and love. Substance abuse and divorce are often very complex, and you should take the time to consider your options before making the decision to stay or leave. Substance abuse fundamentally changes who people are and how they approach you, the people in their lives, and even their children. While the reasons behind these changes are often complex, the simplest explanation can be found in the reward system of the brain. A normal, healthy person receives rewarding sensations of happiness and of ‘doing the right thing’ when they do socially good things such as spending time with family, helping around the house, earning money for family, etc., this ‘reward’ happens when the brain produces dopamine in response to socially beneficial actions. A person who is addicted to drugs or alcohol is constantly stimulating the opioid, gabba, and dopamine receptors, causing them to experience pleasure – they aren’t thinking about how good it is to be nice to family because their brain is overwhelmed with this artificial sensation. A person who is addicted is mostly only focused on their next hit, drink, or pill – even when they are also thinking about family. Drugs and alcohol also affect the decision-making process, so that the addict has a harder time making good decisions, is more likely to be involved in reckless situations, and is more likely to make rash decisions that negatively affect you and your family. This in turn results in a higher rate of domestic violence and abuse in families with an addict present, a higher rate of crime, emotional and physical neglect, and neglect of responsibilities inside of the family. Living with an addict can be extremely difficult, especially when you are married to them and must shoulder the weight of their poor financial decisions, reckless behavior, and even criminal activity. No matter how much you love someone, there is a point when enough is enough. If you have already attempted therapy, talking with your addicted spouse, and rehab, then divorce may be your only option. However, there are many steps you can take before divorce, if you have not already taken them. Rehabilitation – While it is crucial that an addict be able to come to terms with their substance abuse and choose to seek out rehabilitation themselves, getting treatment can enable many people to recover from drug and alcohol addictions. A good program, which includes licensed therapists and therapy such as CBT, is essential for recovery. This should be followed up with support after the program to ensure continued abstinence. Group Support – If you need help but are not yet ready to leave, self-help and support groups like Al-Anon and Family Anon can be extremely helpful in giving you the support and outlet that you need. Al-Anon enables you to talk to people in similar situations, discuss problems, and learn about possible solutions, which can help you to relieve stress and possibly see your situation from a third-party perspective. Is Leaving the Wrong Thing to Do? As a person, your own mental and physical health should come first. No matter how much you love someone, you cannot put someone else first especially if they are unwilling to go into recovery or unwilling to get help. Especially when that person is harming your mental or physical health in any way, including by causing stress. While many studies show that relationships with close bonds are extremely beneficial in helping addicts to recover, you can use your own best judgement to determine if you still have that bond, if you’re willing to put in the time and effort to try to help them, and if it is worth your time and effort. Nearly every state enables you to file for fault-based divorce based on grounds of alcoholism or addiction. 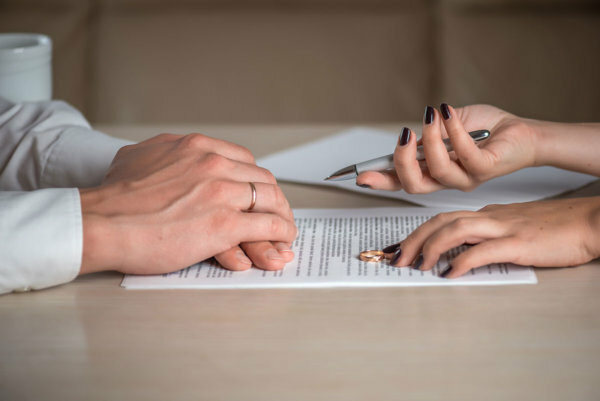 Some states, like California and Florida do not allow fault-based divorce – however, you can still bring evidence of substance abuse to the proceedings to reach a more favorable outcome for custody, distribution of financial assets or bills, etc. Many treatment centers now include family therapy as part of substance abuse treatment. Here, the family or spouse is given treatment alongside or as part of the full rehabilitation, to ensure that family relationships and roles are healed as part of the therapy. You want to learn how to respond appropriately to your spouse’s substance use. In most cases, family therapy consists of single and dual sessions, where you are given individual counseling and treatment and then brought together in a group setting. This can be essential for building a platform that will enable you to move past the substance abuse as a family – which can help your spouse to recover. Unfortunately, there is no one right decision. 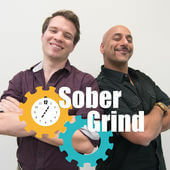 Every situation of substance abuse is nuanced and unique. If your spouse’s behavior and outlook point towards them seeking out recovery and working to rebuild their life with you, staying and helping them get into therapy will help them to recover. If staying is damaging your mental health or that of your children, then filing for a divorce may be a better solution. If you need help, getting assistance from a counselor who can take your personal situation and problems into consideration can be immensely beneficial. Filing for divorce because of an addiction may be the only choice you can make, especially if you have already tried other methods. Divorce can separate you from the social and economic impact of addiction, remove children from an unhealthy environment, and put you in a place where you are not relying on someone who continues to abuse a substance. However, you may also choose to stay, to work to get them into a quality rehabilitation facility, and to take family therapy with your spouse. Both decisions are valid, and either may be right for your relationship and your situation. If you or a loved one is suffering from an addiction, seek help today. Beginnings Treatment Centers offers addiction treatment programs that can help families recover. Call us today and speak with one of our experienced and professional intake advisors. We are located in beautiful and sunny Southern California in Orange County, which has one of the strongest and most active recovery communities in the United States.